A professional athlete and a professional sports club always want to achieve maximum performance. When making the most of it and always providing top-level conditions, nothing can be taken for granted . The lighting system in a stadium has to be of top quality and meet all requirements of TV stations and (inter) national sport federations. Providing high quality lighting in the stadium for players, audience and for the people at home. For several years now, AAA-LUX demonstrates that this is possible with LED-lighting. Many professional sports clubs still use conventional light in their stadium. In a time that developments follow each other in rapid succession, it makes sense that the requirements for optimal lighting also evolves. In many cases the lighting in the stadium has to be upgraded in order to broadcast the matches on HDTV. Therefore more uniform light on the pitch is necessary. This is where, for many sports clubs, the challenge lies. Light plans in professional sports are more complex than in sport-at-large. There are more requirements and more functionalities. AAA-LUX has developed the WS-STAD LED luminaires that offer a suitable solution. AAA-LUX’s LED fixtures offer so many possibilities for professional sports clubs that the lighting quality standards are met in every situation. AAA-LUX achieve high vertical uniformity for optimal TV broadcast . 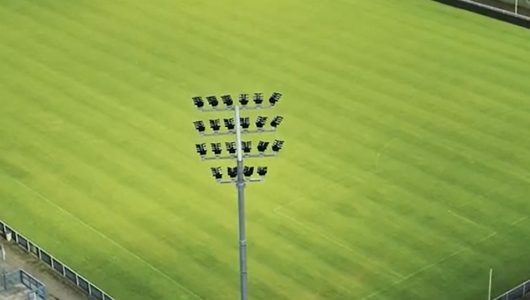 The requested results can be achieved with four masts in the corners as well as with the so called ‘Ring of Fire’, meaning LED fixtures all around the pitch from the stadium roof. It’s a proven concept which AAA-LUX successfully has implemented in a dozen stadiums, including the Italian Series A football club SPAL, the basketball champion of France ASVEL Basket and the Spiroudome Charleroi stadium in Belgium. Since this season the Italian club SPAL plays football in the Italian Series A league. SPAL played in 2014 in the Lega Pro, the third Italian football league, and faced a challenge. The Paolo Mazza Ferrara stadium had to meet the lighting requirements, so TV broadcasters could make high quality TV recordings. If SPAL didn’t succeed, they would have to play their home games in another stadium. AAA-LUX prevented this in a three-step approach. Step 1: In 2014 LED light was established for 500 lux, the requirement of the Series C (Lega Pro) level. Step 2: Because of promotion to Serie B, 800 lux vertical was required. Step 3: Since 2017 SPAL has a lighting level of 2.000 horizontal and 1.650 lux vertical, which allows them to play in the Serie A league. This thanks to the installation of four new light masts of 45 meters high and some fixtures on the main stand roof edge, with around 200 AAA-LUX LED luminaires in total. Stadio Paolo Mazza is equipped for playing Champions League matches as the stadium lighting applies to UEFA level A (elite). According to the engineers of the Italian Series A, who approved the new SPAL lighting plan, better light values are achieved by SPAL than at Juventus, where also LED-lighting is installed. An exceptional achievement if you consider that SPAL, from a light perspective more challenging technical situation – four corner masts compared to the ‘ring of fire’ at Juventus Stadium reached such a high quality lighting. The video shows a game against Napoli, where the quality of light is clearly visible. Basketball club ASVEL Basket in L’Astroballe stadium in Lyon, France, wanted to optimize their lighting plan in order to meet the new needs and lighting requirements of the International Basketball Federation. The basketball champion of France previously used conventional light. Within basketball, it has been a trend for many years to do a lot with show elements and lighting. AAA-LUX offered Asvel LED luminaires with show lighting possibilities. AAA-LUX’s LED luminaires are controlled via a wired connection with standard DALI/DMX controllers for light shows, to enable fast response. As a result the stadium in Lyon is equipped with high quality LED-lighting. Which is good for the players, the audience and the TV recordings. Naturally, it also provides a wonderful show experience. 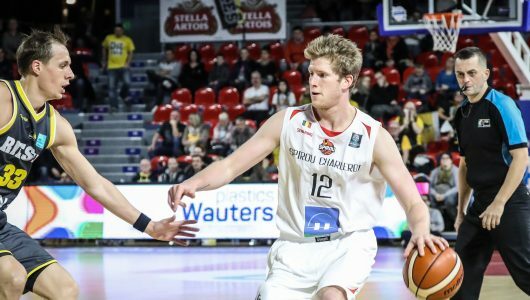 The Spiroudome Charleroi stadium in Belgium is home to basketball club Spirou and the Belgian National Team’s Davis Cup Tennis. Professional sports that have to be provided with professional light. AAA-LUX realized the transition to LED-lighting. Thanks to the AAA-LUX LED luminaires, the light of the Spiroudome meets all the necessary requirements. The light level can be adjusted to the intended use, which is a major advantage. Especially the TV recordings for the Davis Cup Tennis have an extremely high uniformity standard of 2.000 horizontal and 1.500 vertical. It has led to perfect uniform light in the stadium for the TV recordings. Check the video for the result. At this point AAA-LUX is the LED supplier of, among others, the Dutch football club AZ Alkmaar, the German Bundesliga clubs Schalke04 and 1899 Hoffenheim, the Premier League with Huddersfield Town, the Czech Football Federation, Swiss Tennis, the Series A, the World Cup in Qatar, the Danish Alka Superliga with Helsingor Stadium, the FFF in France and several other sports in the world. AAA-LUX offers the certainty of a high quality LED lighting, providing professional sports clubs to meet all the necessary top-level lighting requirements.